If you are moving to Slovakia and expect to work, the likelihood is that you will head for the western region. With easier access to Germany and other European countries which trade with Slovakia, the west has proven popular with multinational companies and their local suppliers. As a result, you will find the majority of expats based here, and particularly clustered around Bratislava. If you are intending to move to a rural location, or to the east, think carefully about the impact this will have on your social life, especially if your decision is mostly based on property prices and you only speak English. Slovakia has a very low level of rental property compared to the rest of Europe. Roughly 85 percent of the nation’s properties are occupied by the legal owner. There will naturally be more property offered in the places where a strong rental market exists, which tends to mean cities in the western regions. If you are looking to rent a room in an occupied house or flat, you will be best renting from a friend. This is not usually a long-term solution, as being a tenant in someone’s home can bring social complexities and possible frustrations. However, it can be a great way to get settled in your new country and make a new social network. To find a rental property of your own, ask any friends or work colleagues if they have any suggestions. They may know a relative who is looking for reliable tenants, or be able to recommend a great real estate agent. If you don’t know anyone, try social media. For example, Expat Focus runs a Facebook group specifically for expats in Slovakia. You are welcome to ask for recommendations there. Plenty of real estate agents can be found in Slovakia. The industry license requires them to have achieved minimum levels of education and to have obtained insurance. As elsewhere, the service you receive and the charges levied varies, so try to receive reliable recommendations before you start. It is likely that you will ultimately pay the agent a sum of money equivalent to the first month’s rent. Renting a room in a shared house can be a good starting point. Real estate agents normally have modern property websites. These include a searchable database of available properties, with photographs, measurements and a description of each room. Unless it is impossible to do so, view the property before you agree to take it on, and don’t make any payment until you have done so. You never know what important piece of information was omitted – it could be that there is a noisy food shop downstairs, a leaking window in the bedroom or a smell of damp. No matter how you find your rental property, you need to exercise caution when it comes to money. Never hand over cash; every payment must be traceable through a bank transfer. Do not pay fees unless they are reasonable and you were informed of them, in writing, in advance. Have everything backed up by documentation: tenancy agreement, invoices, receipts. You must have a tenancy agreement, as required under the Slovak civil code. This is legal protection for both you and the landlord. The terms and conditions should be clearly set out. As a minimum, it should identify the parties involved, the amount of rent to be charged, what is included for the rent and the length of the tenancy. The tenancy agreement must be signed by both parties. As an expat, there is a risk you may need to return to your family at short notice. So check whether there is an early termination clause, such as the ability to leave after three months’ notice. Otherwise you will be legally obliged to pay the rent until the full lease expires. It’s also a good idea to have the terms of an extension set out in the tenancy agreement, in case you want to stay in the property longer. A valid property title must be attached to the tenancy agreement. This sets out the details of the property and the legal owner, who should be the same as the landlord. You will normally pay the landlord the first month’s rent when you sign the tenancy agreement, along with a further month’s rent as security deposit. If you don’t pay the rent, or you cause damage to the property, you won’t get back all of this money. Check the condition of the property when you move in and take photographs. 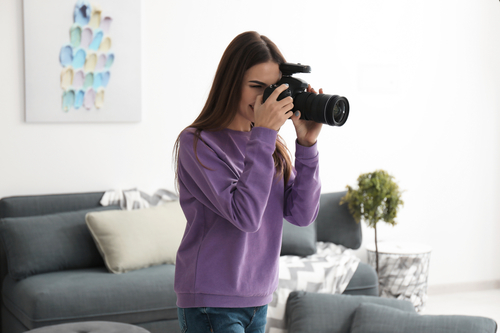 You therefore need to carefully check and photograph the property on the day you take possession, ideally while the landlord is still present. If the property is furnished, for which you will be paying a higher rent, ask for a copy of the inventory list. Carefully locate each and every item on that list. Don’t be embarrassed to ask your landlord about any missing items or any damage you see in the property. If you ignore it now, you may be paying for it later. You do not need to show your residency permit before signing the tenancy agreement. Instead, the tenancy agreement, witnessed by a notary, will be used to support your application for a residency permit. The landlord is required to have building insurance, in case something happens to the structure of the property. However, your possessions will not be covered by this insurance, even if they come to harm because something happens to the actual building. It will be your responsibility to purchase contents insurance and pay for it yourself. There are all sorts of reasons you may wish to sublet a room in your property. You may wish to help out a friend, may appreciate some regular company if you are feeling lonely, or may enjoy having a bit of spare money. However, make sure that your landlord gives their permission for this arrangement. It may be specifically prohibited in the tenancy agreement. Also check that your insurance covers any loss or damage caused under this arrangement, especially as it is your security bond which is held by the landlord. Finally, you will need to inform the tax authorities that you have an additional source of income. This applies regardless of whether you have a permanent tenant, or you are renting out (via sites such as AirBnB) when you are away. If you reach the minimum earning threshold, you will be required to pay tax on the rent money you receive. You may also be legally obliged to obtain a business license. Slovakian people have witnessed great change over the past few decades. They separated from the Soviet Union, divorced from the Czech Republic, joined the European Union, entered the Schengen Area and adopted the Euro. Legal migration into the country is now four times what it was a decade ago. The economy in the western areas goes from strength to strength, with low unemployment and good growth forecasts attracting an educated middle class. The east is much more economically deprived, which this may affect the opportunities you have for establishing yourself as a member of the local community. Wherever you move to, try to pick up some basic phrases that can be built into a conversation with your neighbours and colleagues. Be respectful of the way local people live, avoiding loud music and other disruptive activities. It is normal for Slovakian people to be reserved with those they don’t know, but if you make an effort to fit in you will be accepted. Even if you are renting your property for a short time, becoming part of the local community will help you feel at home. Have you lived in Slovakia? Answer the questions here to share your experience with other readers!